SCM are experts in providing innovatively designed yet practical handling solutions for a broad spectrum of industrial and manufacturing applications. All equipment is designed and manufactured in the UK, and SCM produces a wide range of systems suitable for many industry sectors. In addition, individual solutions are design-engineered to address your specific handling issues. We say what we do, we do what we say, and we're looking forward to proving it to you. 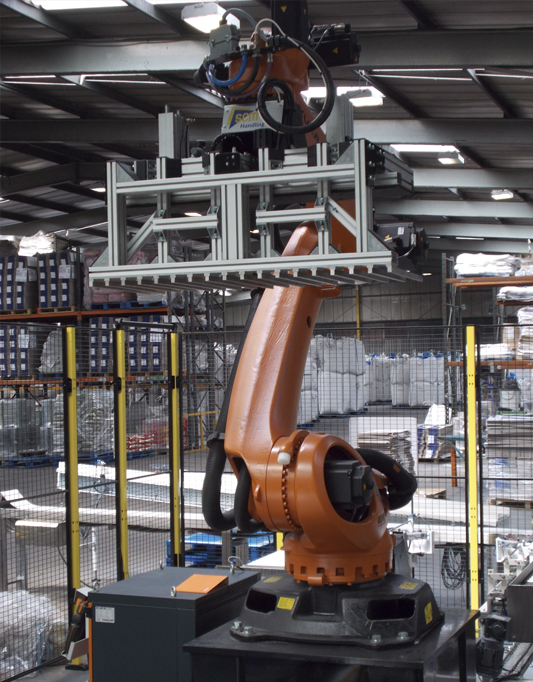 Palletisation robot systems from single stand alone to multiple robotic applications. SCM specialise in “integrating” all of the critical elements required to complete the automation of the palletising process. 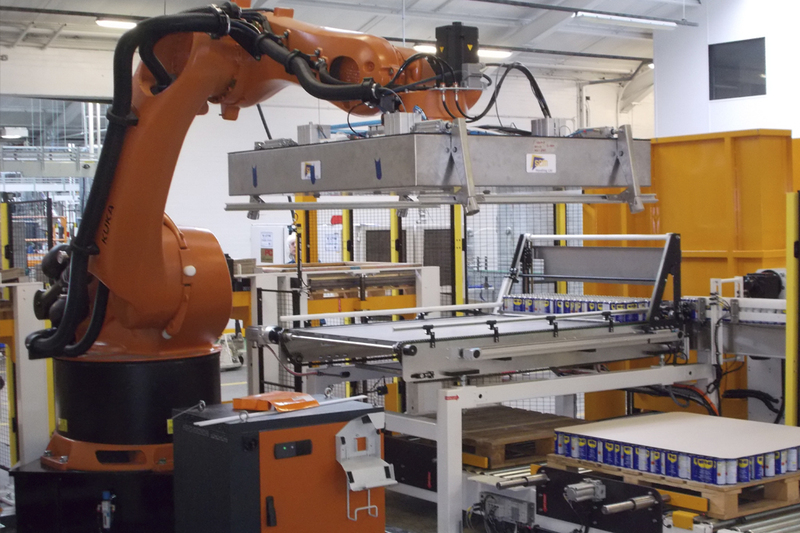 The KUKA series 2000 and recently launched QUANTEC range are specially developed to provide solutions for high speed palletisation with payloads up to 300KGS with placement accuracy to +/- 0.05 mm. Combine these robots with our expertise in the all-important area of gripper tool application and know-how and your products are on the pallet ready to ship. At SCM we have many years of experience in supplying solutions to your packaging problem requirements. We utilise a complete and comprehensive range of KUKA packaging robots for fast precise work in confined spaces with high repeatability. No matter how varied your work processes – you are bound to find the right KUKA robot for your application – our range covers the 1KG up to 1300KG payload categories. There is a robot solution for nearly all industrial environments, we have a vast reference list that covers applications and solutions across the industrial spectrum, contact us with your query and challenge us to provide the solution. SCM have a proven track record in designing and manufacturing bespoke grippers for varying robot applications. Our design engineers are experts in tailoring each design to individual customer requirements, carefully considering each element and ensuring that each design is compact, robust and durable. Our gripping solutions take many formats including mechanical clamps, vacuums, magnets and venetian blind layer grippers. 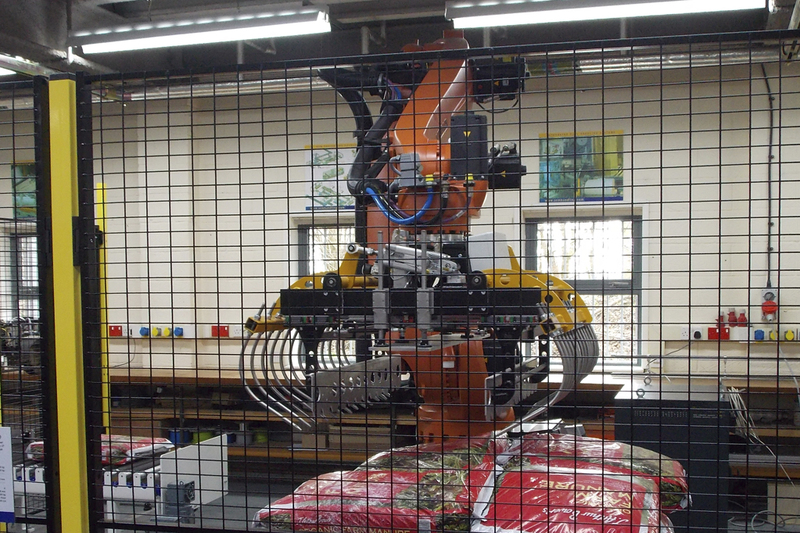 SCM specialise in providing turnkey control systems to complement our robot and handling cells. We have engineers proficient in programming Siemens, Omron and Allen Bradley PLCs as well as Siemens Technology motion control and Siemens S7 TF series processors. 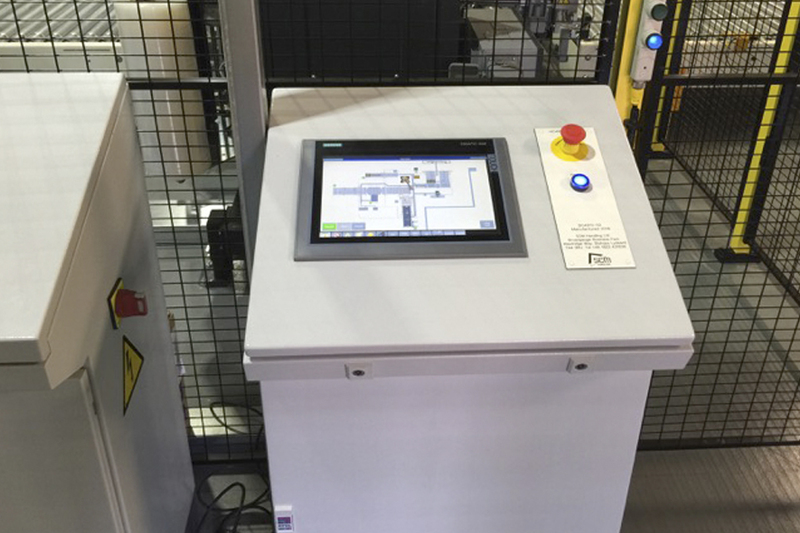 We also have experience in integrating systems with a wide variety of plant-wide control networks including ModBus, CANOpen and FTP as well as providing systems for ATEX, IP60 and arctic grade applications. 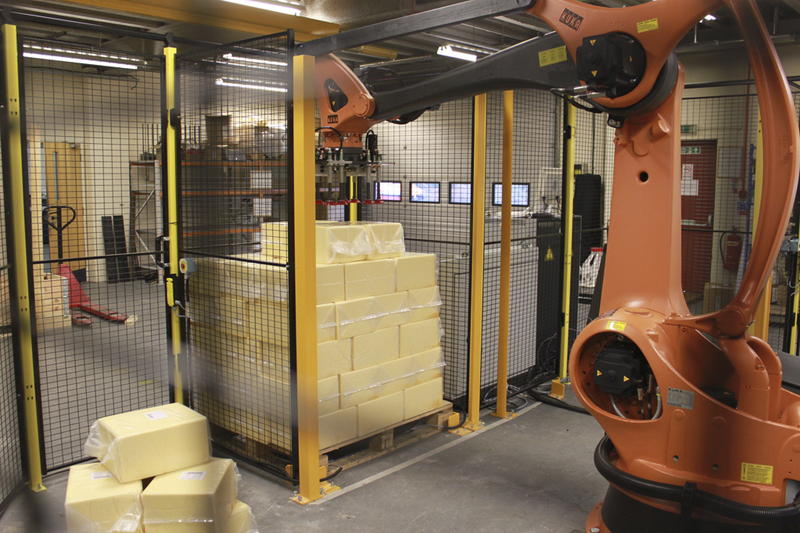 Robot palletising is top of the agenda for SCM!